Overall Arm Rest Height: 23"
If you open up the flap on the front of the arm rest you'll see supporting pieces inside of the seat arm. These are the strongest parts of the frame. To secure it to the seat base simply screw through the pontoon seat base next to the arm rest into the stronger sections of the arm rest frame. 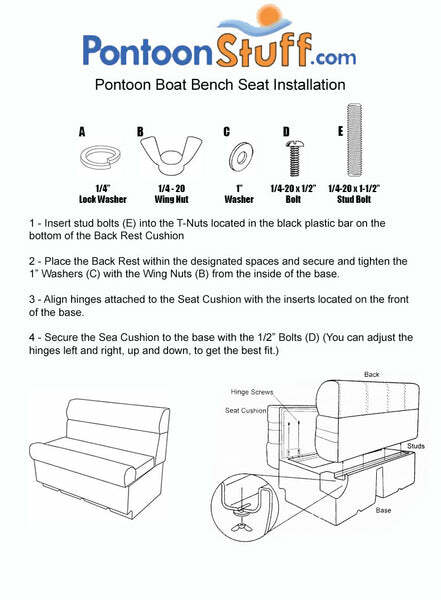 You can also use a sheet metal screw and run it through your pontoon railing in the back of the arm rest where the tallest point touches your fencing... many customers are scared to do this but if you look at all the new pontoon boats the back rests of all the pontoon furniture are secured to the railling with sheet metal screws. This secures them in place and adds strength to your railing, it will not void any warranties. We do not recommend doing that, it will cause issues down the road. How much do the boat seat arms weigh? 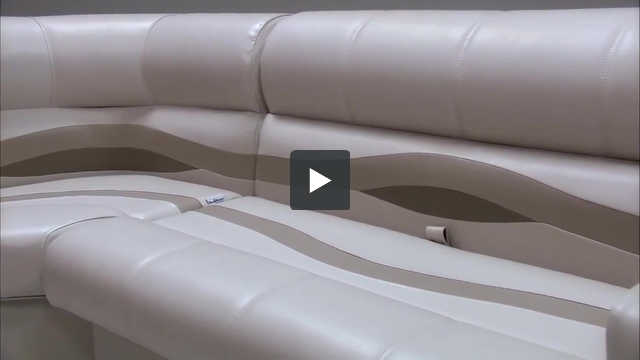 These Pontoon Boat Seat Arms weigh 17 pounds. How does the 7" cup holder arm go on? You can install it to the plastic base it is up against. Or, you can mount it to the deck of the boat. What is the radius in the corner? I'm replacing a 5" wide Princecraft armrest with radius and would like to understand how well this one will fit in the corner. The Radius of the Arm Rest is 8". They come in 7 iches width. Our current arm rest has "channel" across the bottom near the back, approx 4-5 inches in from the railing to allow for the upright screw to be affixed the decking. Are the bottom of these armrests flat? Yes these Pontoon Boat Arm Rests are flush against the deck. I am looking to replace all my boat seats. I do not want to replace the bases. Is this an option? How do I find the same thing I have now? No we do not offer just our Seat Cushions. Our Seat cushions are made specifically with our Bases in mind.